Beijing, with its rich history and futuristic feel is a city of surprises. China’s capital does a fantastic job of juggling both ancient sites and modern architecture. It’s a complex city that immediately draws you in. 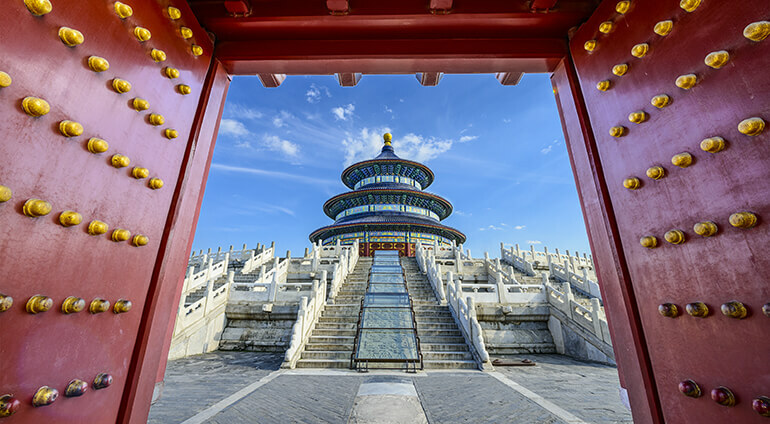 If you want to visit some of China’s most impressive tourist sites, you will find quite a selection in Beijing, from the Great Wall of China to the enchanting Forbidden City and Beijing National Stadium. There are six World Heritage Sites hidden within Beijing. Beijing offers amazing sights, an abundance of restaurants, impressive architecture and an endless selection of cultural activities. The country’s capital is the financial and cultural epicentre of China. It’s certainly a city that has made its mark throughout its history spanning 3 millennia. Some parts of Beijing seem as though they have been frozen in time, and others represent a taste of the future. Visit the magical temples, cycle around the city taking in the famous sights and tuck into an endless selection of mouth-watering Chinese delicacies. If you are looking for an interesting city with lots to see and do then you won’t be disappointed with what Beijing has to offer.